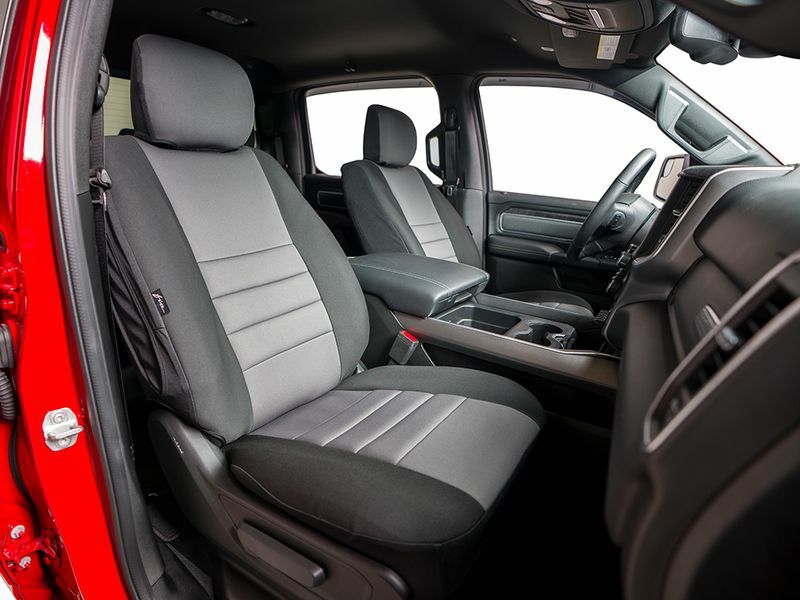 Everyone wants the best of the best when it comes to seat covers. With Fia neoprene seat covers you get exactly that. Neoprene material is durable and long-lasting as well as comfortable. They are available with a grey center panel and black side panels to give the ultimate look. Fia Neo seat covers are laminated with a water resistant poly outer shell that makes them waterproof as well as UV protected. There are no tools required for installation. They just easily slip on and off with quick release buckles. Another plus is that headrests are included with these seat covers and most applications will include center armrest/console covers to get the complete look. 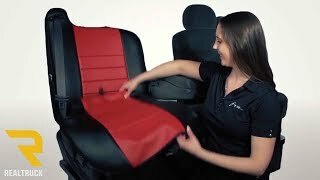 Fia neoprene seat covers are exactly what you need to protect your seats. They are padded for extra comfort that'll make your back side happy. Get your very own Fia Neo seat covers today and you won't regret it. SUPER-GRIP® the slip resistant fastening system is engineered to provide original equipment installation in minutes. It’s simple - no tools are needed. 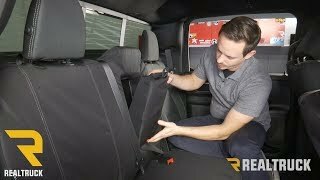 Multi-directional stretch polyester trim molds the seat cover to the contours of the seat. Velcro fasteners and a belt 'n buckle tightening system are the finishing touches that grip the cover to the seat. For additional information, please call 1-877-216-5446 or 701-253-5906.